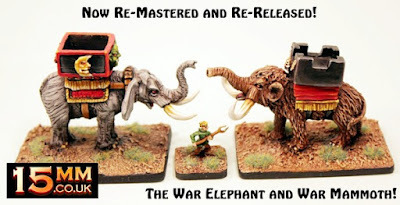 15mm.co.uk: HOT 15mm War Mammoth and War Elephant return! Following on from our classic monster re-released Rhinosaurs last week for Tabletop we are proud now to give you our last releases for the month. 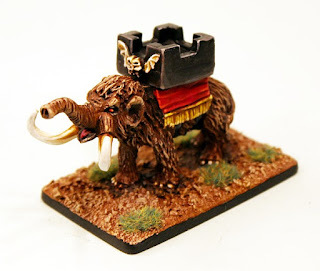 Now back at 15mm.co.uk are two beasts of burden and conflict great for many different armies the War Mammoth and War Elephant. 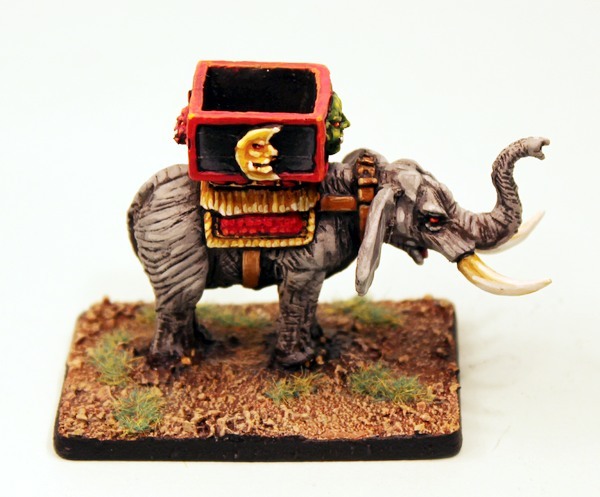 After going out of production the HOT30 War Elephant and HOT31 War Mammoth are now resin and reduced in price and both come as a kit including a small howdah into which a character or general can be put. Excellent and they are 15% off until the end of September. Go HERE or read on. Useful for Human and other armies such as Orcs we give you the trunks and tusks! See below for details and remember all prices listed are 15% off until end of the month. Go HERE.